If You Think Sports Retail in Singapore is Dead, Read This. 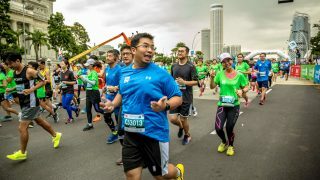 While other Singapore retailers are closing their shops faster than your next PB, the sports sector hits back with a vengeance, but will they last? The great debate — about whether or not eCommerce will nail the coffin on bricks and mortar retail shops — has droned on for as long as the Internet began cannibalising sales. So asking a pertinent question — If retail stores are disappearing from the Singapore scene, why do new sports stores keep popping up? — is a logical one, particularly from the perspective of runners on ever-present searches for the latest gear and fashion. Can history unravel the mystery? The evolution of retail stores began when markets sprung up thousands of years ago across Asia, Europe and Africa. Ultimately open-stall, outside markets morphed into enclosed shops. 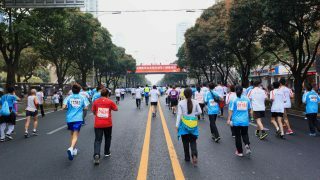 As competition exerted influence, stores carrying a wide range of merchandise replaced speciality stores, though today, innovative small boutiques have managed to survive, and no niche is healthier than sporting goods stores kept alive by Singaporeans who are deeply invested in the nation’s fitness movement. Then, along came the Internet. Even chain and big-box stores suffered as eCommerce gobbled up shoppers. Even “Store-within-a-store” concepts, pioneered by Asian retailers could not stop the steady, ever-present incursion of online retail marketing, and nothing has prompted consumer dependency more than an ability to shop using smartphones and devices. Forrester Research reports that 56-percent of consumers use smartphones to shop. PUMA recently opened two concept stores at Paragon and Bugis+, hoping to lure runners and sports enthusiasts away from their mobiles and computers. 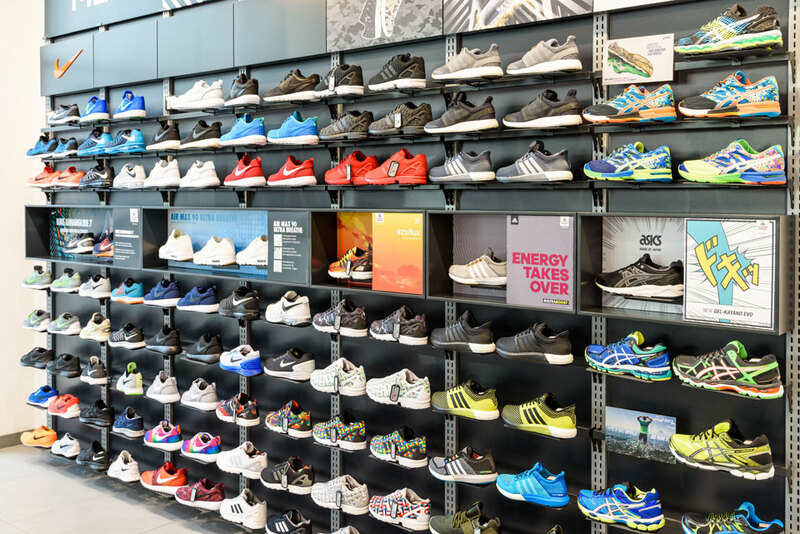 PUMA believes that dedicated store sections have the power to bring shoppers to these new locations because they’re strategically located within concentrated shopping areas that attract a youth market eager to find deals and promotions. 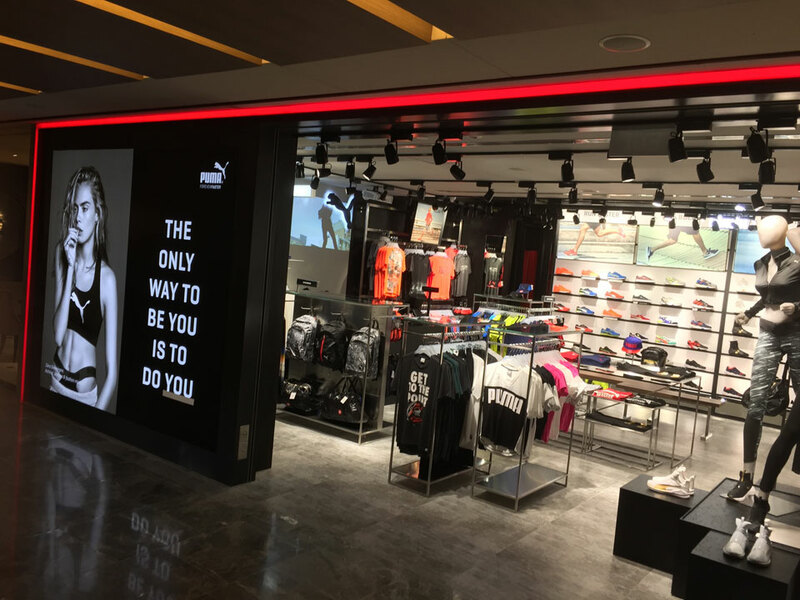 Not to be outdone, ASICS saw an untapped market in northeastern Singapore and launched a stand-alone shop at the NEX shopping mall recently. ASICS believes that identifying an under-served populace is the key to in-person shopping. Their spacious new location is thoughtfully merchandised to encourage avid runners to browse the latest in ASICS innovations. 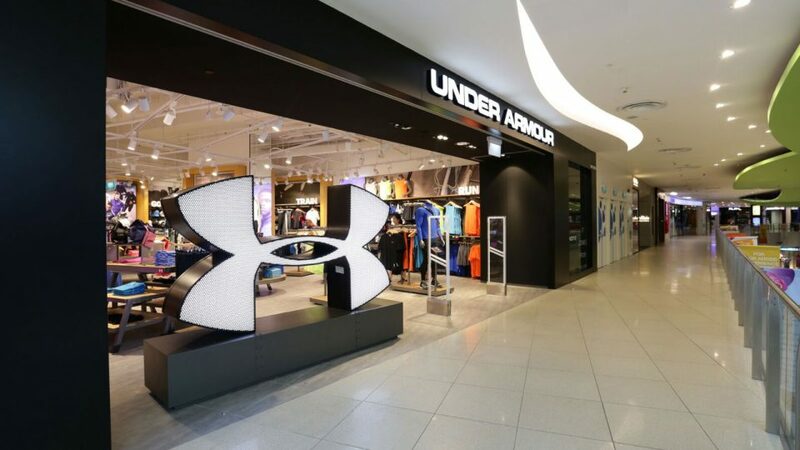 Further, the new Under Armour presence at Vivo City Brings UA’s Singapore stores to five, including their new retail presence sprawling across 1,980 square feet of product display area and trendy décor touches. Under Armour has become an expansive presence throughout Southeast Asia and it's considered by many athletes to be the coolest brand on the planet, even when measured against big dogs like Nike and adidas. That light, of course, is a spotlight shining on the impeccable taste of runners who prefer to be seen wearing the UA logo on everything they own! The space-age design of Running Lab’s two new locations — Marina Square and Tampines Mall — is reason enough for passionate runners to browse the retailer’s unique enclaves which are sorted by brand and gender, and there is no shortage of signature brands on display that are beloved by running enthusiasts and athletes. 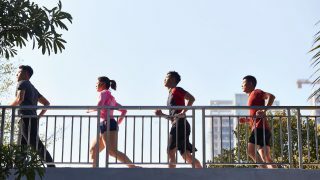 To drive traffic, Running Lab organises free runs throughout Singapore on Tuesdays and Thursdays, but they’re not the only show in town. 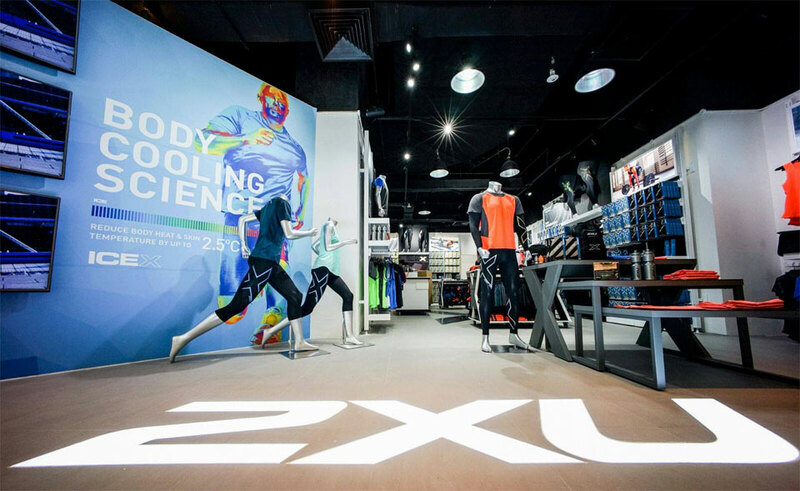 The first 2XU Performance Centre opened just weeks ago at Suntec City Tower Three. Their ambitious marketing plan — to become the epicentre of performance compression wear — sets it apart from competitors because the niche alone has the potential to drive traffic into the store. Also read: Singapore Runners, Do you Hate Cyclists and Other Mobility Device Pilots? Always a trendsetter, we toss the iconic Uniqlo into the mix. Uniqlo’s Orchard Central grand opening recently introduced Singapore to what can only be described as a sensory playground filled with wall-to-wall digital displays and rotating mannequins, while there’s a nice balance of innovative activity-related products, ideas and wares and the prestigious brands to which runners remain loyal. For Uniqlo, size matters. This 29,000-foot retail spot has become a destination unto itself, catering to sports-minded Singaporeans of every age group. In fact, a steady stream of popular stores continue to close because they have become unprofitable. Singapore economics played some part in this exodus, but not all blame-placing can be ascribed to fiscal decline due to online shopping and tech-savvy consumers continuing to find favour with cyber shopping. But the reality is this: retailers start every day in the red, supporting rental space, salaries, power bills, taxes and marketing expenses. Further, brands and stores refusing to track changing shopper behaviours aren’t likely to survive. What are solutions to this mystery? Absent a crystal ball, it’s obvious that Singapore retailers won’t survive without retooling their business models and no niche is worthier of emulation that the nation’s sports boutiques because the folks that run and manage them keep a pulse on Singapore’s vibrant fitness movement and watch trends like hawks. Further, a mindful balance of retail and online business practices keep shops afloat in addition to taking advantage of trend-tracking. A shared retail/online presence has been the secret that has helped many sporting goods stores stay afloat. Management understands that athletes aren't particularly crazy about the idea of having to return merchandise bought online and aren't shy about using promotions and specials to a bring them in. More runners frequent sports stores for social reasons than analysts report. In-person shopping beats scrolling through screens of merchandise says TANGS Assistant Vice President of Communications Ms. Jocelyn Teo. Sporting goods shoppers are a different breed. Their performance depends upon the right shoe fit and gear choices, and while time-crunched athletes may turn to online shops for some purchases, retailers give athletes more reasons to show up in person, including incentives, promotions and deals. Integrated shopping patterns are the wave of the future and savvy sporting goods retailers know this. The ability to switch back and forth between store and website drives traffic since returns, purchases, exchanges apply equally. Look for a more dynamic retailer consortium to cooperate on shared functions like integrated warehousing, shipping and order-fulfillment that can lower overheads resulting in merchandise price reductions. Common-sense changes — staying open more hours, sponsoring in-store events, offering a fully-integrated online/in-store experience and making sure employees behave more like concierges and less like clerks are but a few of the ways sporting goods stores will not only survive, but thrive. Also read: Will Singapore Marathon Become Singapore Night Marathon Next Year? If you were forced to choose between online and in-store shopping and were required to pick just one, which would it be and why?